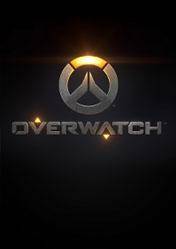 Attention: From Gocdkeys you will be able to buy Overwatch in digital version for PC at best posible price in the best online stores. Do not forget that this version for PC is in digital format, so it simply consists of a key that you must enter in your Battle.net account to activate the download. Overwatch is Blizzard's multiplayer team shooter, fun and totally addictive, with a multitude of heroes available and each with their own skills and weapons. In Overwatch each game will be an intense multiplayer showdown, pitting a diverse and extensive cast of heroes, mercenaries, scientists, adventurers and weirdos against each other on a series of battlefields. Each hero has a certain form of fighting, with unique and extraordinary skills. The maps are prepared to perform all kinds of ambushes, traps and flanks, plus we must cooperate with the other team members to achieve victory. The official release date is still unknown, although it is expected to reach the market by the end of 2015. As we upgrade our heroes, we'll be able to buy different hero skins in the game store that will make our character unique. In addition, each hero has different game mechanics and specific roles, so we can find the hero that best suits our style of play. How do we activate the Overwath digital key once the game is purchased? Simply log into your Blizzard account and go to the "Redeem Code" section. Once there, we must enter the Overwatch key cd and start the download. Before this, we recommend downloading the Battle.net launcher on your computer to have access to all Blizard games. i play this on pc and x box so that i becum a mad lad ayy? the gameplay is smooth and custom servers are rlly noice. A variety of heroes to choose from with all sorts of abilities and unique stats. Fun to play with friends or get serious in a team in ranked matches. Well balanced, fast-paced, enjoyable arena fps; similar in concepts to, say, TF2, but unique enough to feel somewhat original. Played this lot with some friends it awesome much content the characters are very good too.Maps are fresh looking and blizzard puts more and more content in it. in terms of shooters is one of the best. with good players and every time they update the game they add nwe free content for all the people.